Society wants me to conform. I will not conform. I have had enough. I could not take It anymore. I had tried and tried but no one would go with me. If no one will go with me, I will do it alone. I don’t see things any differently than anyone else. They all see the world is falling apart. The difference is I couldn’t sit still and watch it get worse. I couldn’t stay quiet and let the evil keep talking. You know what they say, there is no God, he isnt here, he doesnt care. If there was a God then why….If there was a God then where was he when…. Well, didn’t we ask him to leave? We took him out of schools, court, any kind of gathering. We let the minority rule. If one person doesn’t like it then no one can enjoy it. It’s no wonder suicides have increased, opioid epidemic, mass shootings, over the counter meds for anxiety, divorce. I left to face the demons on my own. It wasn’t long before they had gathered to defeat me. I drew my sword and drew a line in the sand. To their surprise, I then took a step forward with a smile on my face. I knew what they did not. The demons hesitated for a second but that’s all I needed. I drew my sword but it was only for a diversion. The demons attacked. The demons were so consumed with me that they didn’t notice the warrior angels that had surrounded them. This brought chills and an overwhelming sense of comfort! 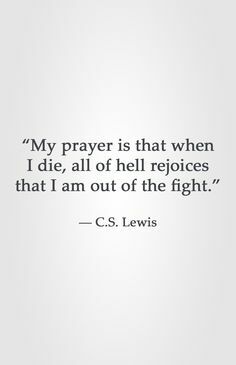 I’m so thankful that I do not fight this battle but God fights on my behalf! 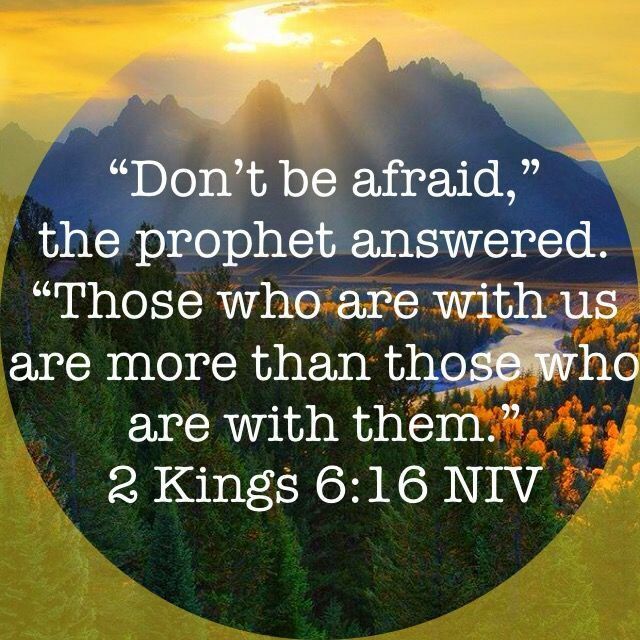 Thank you for this powerful reminder!